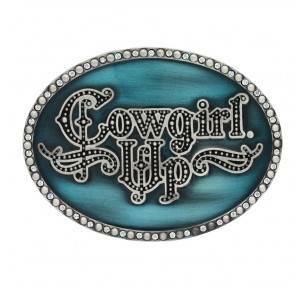 Little Attitude Turquoise Cowgirl Up Buckle. Silver plate over a solid cast white metal alloy base. Cubic zirconia stones. Montana Armor protective finish to prevent tarnish. 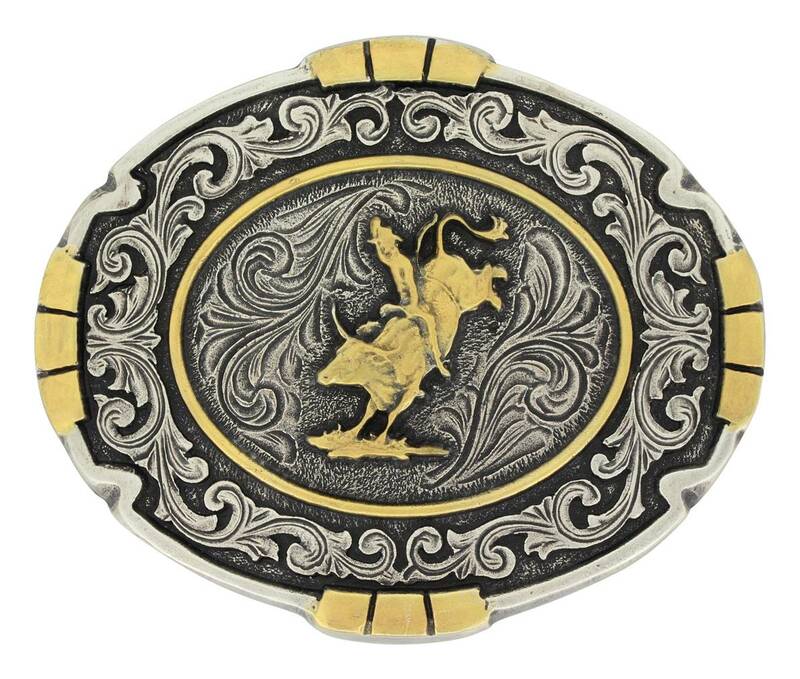 Antiqued silver and gold colored Attitude buckle with three squarish accents at the the top bottom and sides with filigree around a bull rider figure. Standard 1.5 belt swivel. The dark brown suede enhances the beautiful Turquoise beading. The edge is studded with brass studs to give it even more pop. The belt is approx. 3 inches wide. This belt makes a gorgeous piece to add to your accessories collection. The belt is a natural suede color that features all beaded designs of Indian Feathers and a Turquoise and flower beaded design in the center and end of the belt. This will go with so many things and will make any skirt or tunic stand out. 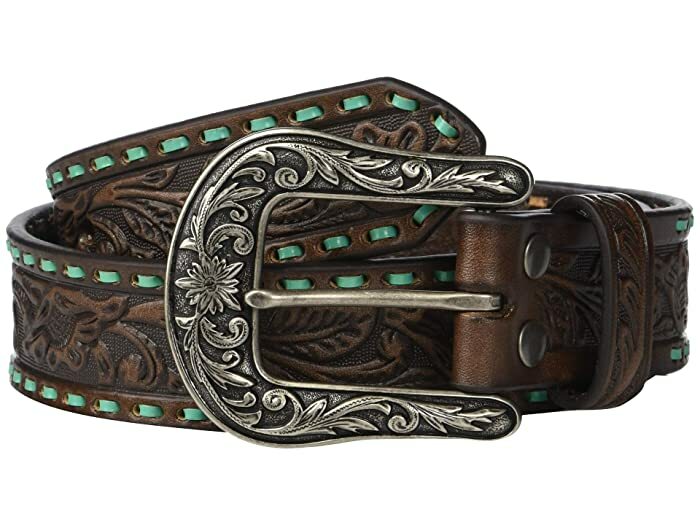 Genuine leather belt features a brown floral-embossed strap with turquoise lace edges. Silver-tone metal buckle with Western engravings. 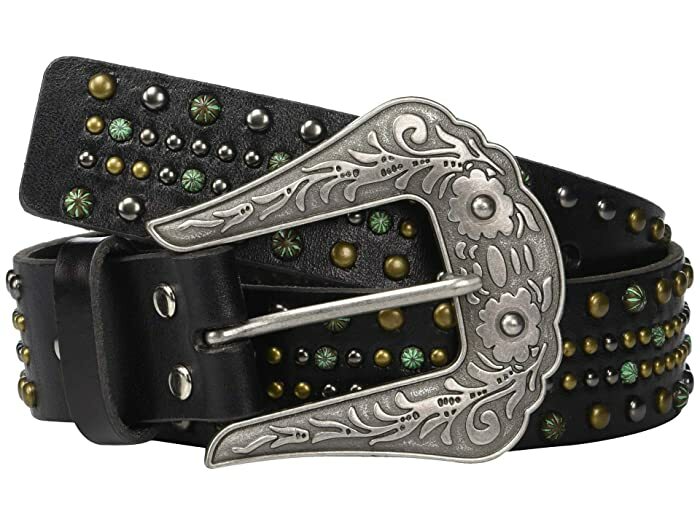 Genuine leather belt with a crackled leather strap features a black strap that is accented with silver nail heads down each side, and round copper floral conchos in the center. Interchangeable silver-tone buckle with etching detail. 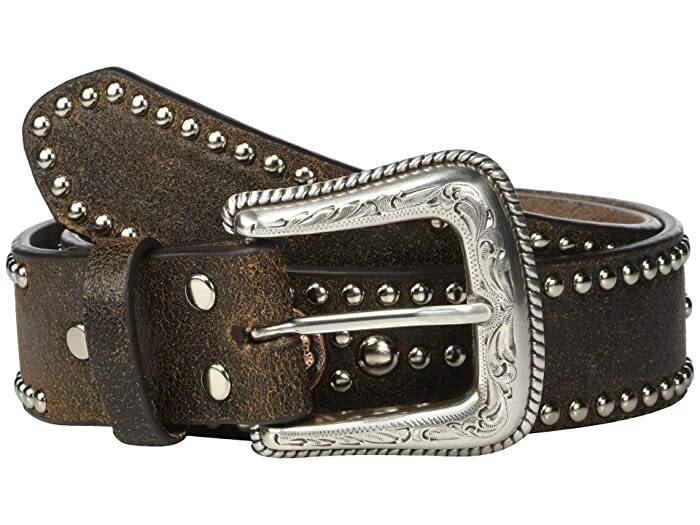 You will love how the M&F Western® Nocona Multi-Metal Nailhead Belt complements both casual and dressier styles. Genuine black leather strap features four rows of multi metal nailheads. 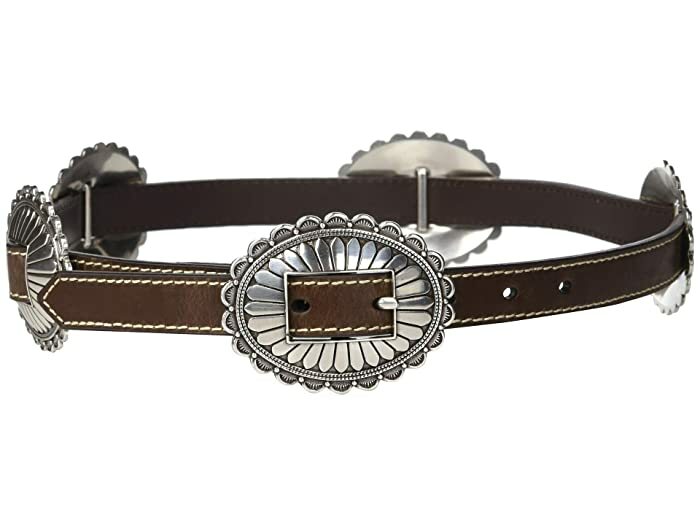 Genuine leather belt features a thin brown strap with large oval floral-inspired silver conchos and contrast stitching. 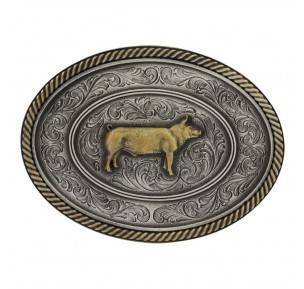 Matching silver-tone concho belt buckle.